AmericanAncestors.org is the most-used genealogical society website in the world. 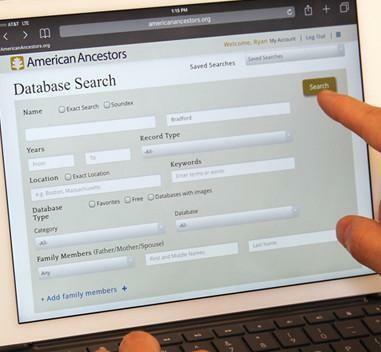 It provides family historians access to more than 1.4 billion records spanning the U.S. and beyond, including one of the most extensive online collections of early American records, and the largest searchable collection of published genealogical research journals and magazines. Learn what online resources exist, how to navigate the website, perform effective database searches, browse our collections online, and more.